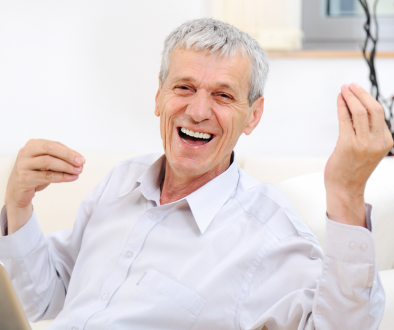 A Single Implant – Why replace missing teeth? When a tooth is missing an implant can be a great choice for replacing it. 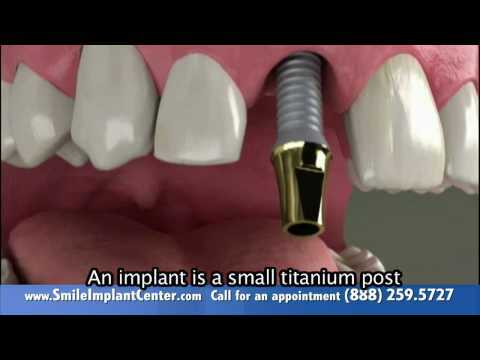 An implant is a small titanium post that replaces the roots of a missing tooth. And supports a custom made crown. An implant can prevent a chain reaction of problems. Including loss of bone in the jaw, shifting teeth, difficulty keeping teeth free of plaque and bacteria, grinding and clenching, and pain in the jaw joints. Teeth transmit chewing forces through their roots to the jaw bone. This provides the stimulation bone need to stay healthy. So when a tooth is missing the jaw bone around the area began to shrink. Along with surrounding gums. A missing tooth also changes the biting forces on teeth around the space. Neighboring teeth begin to shift. And the opposing tooth begins to extrude out of its socket. 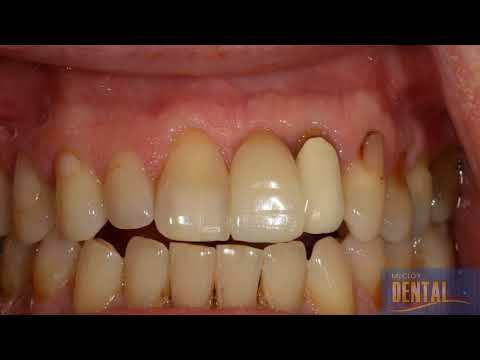 These changes create places around the teeth that are hard to keep clean. So plaque and bacteria quickly accumulate. This accumulation can cause tooth decay and periodontal disease. Changes in the bite can also put improper chewing forces on the shifted teeth. And this may lead to grinding and clenching. And painful problems with your jaw joint, the TMJ. To determine if an implant is right for you, we’ll do a thorough exam. Which will include recording your medical history. Performing a visual exam to check the health of your teeth and gums. Taking paragraphic or panoramic x-rays and possibly CT scans to check the health of your jaw bone. And taking impressions and bite registrations to create an accurate model of your mouth. 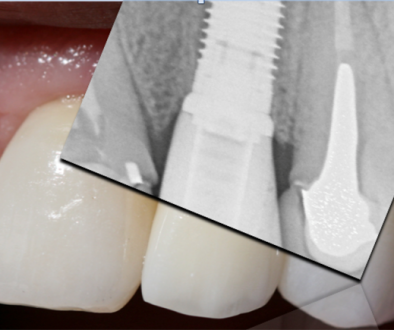 An implant with a crown replaces a missing tooth. And it’s a great way to keep your jaw bone healthy. Maintain a stable bite, and restore your beautiful smile.